Many tests and quizzes allow only 1 attempt, so you will want to avoid any problems. Read and follow any instructions from your instructor and these general suggestions carefully. Restart your computer completely - to make sure you have a fresh connection to Blackboard. Make sure you have a reliable internet connection. If you are on-campus using a laptop, be sure and use MC-Secure wireless; Don't use MC-Guest wireless. If you are off-campus, be sure your internet connection is stable and reliable. Check your computer settings and browser for Blackboard compatibility. Firefox or Chrome are recommended. Most tests and quizzes are not mobile-friendly, so you should not take a test or quiz using a mobile device, Chromebook, or iPad. Use a Blackboard-compatible computer and browser. Check for and remove any spyware or malware on your computer. Spyware or malware can interfere with online tests, as well as causing other problems. If you are going to start a timed test or a test that expires at a particular time, be aware of that limit and plan accordingly. Don't wait till the last minute to start a test or quiz. Avoid the Blackboard maintenance window - weekdays 6-7 AM CST. Do not multi-task. Don't take a break in the middle of a test or quiz. Close all other programs or browsers on your computer before beginning a test or quiz. Complete the test or quiz in one sitting. Do not minimize, maximize or resize your browser window, or open another browser window during the test or quiz.You may get locked out. Do not refresh or reload your browser during a quiz or test. You may get locked out. Do not use the Enter key for Submit. Use only single left-clicks of your mouse. Do not use the browser navigation links or icons at the top of your browser such as back or forward. Use the Blackboard test navigation only. Do not double-click on any Blackboard buttons or links during a quiz. i.e. Forward, Backward, Next, First question, Last question, Save, or Submit. Click buttons only once and wait. Click only once / one time on the Save or Submit buttons. Be patient and wait a second and you'll be able to progress. If you click more than once, you may get locked out. Do not use a scroll wheel on a mouse to scroll down through a set of test questions. Scroll wheels can inadvertently change other answers. Use the window scroll bar, not the scroll wheel on a mouse. Periodically click Save. Allow any AutoSave or Saving process to complete before clicking Save and Submit or any other button. Before clicking Save and Submit to finish an exam, you may check the question completion status indicator at the top of the page to make sure all questions were saved. Remember to click on the Submit button when you are finished with an exam or test. Allow the Submit process to completely finish before closing your browser, moving to another page, or clicking any other button. Check your Grades in Blackboard to see if your test/quiz was submitted for grading. Note: The Blackboard Learning System may be offline for Maintenance every week day from 6:00 to 7:00 AM CST, so don't plan to take a test during that time. How do I get a test or quiz reset? If your progress during a quiz or test was interrupted and you need to start over, contact your instructor for the course. Explain the situation and, if appropriate, they will be able to reset the quiz or test for you. The Help Desk cannot reset quizzes and tests for students. Before taking a test or quiz again: Be sure to use the browser check to be sure your computer is compatible with Blackboard. 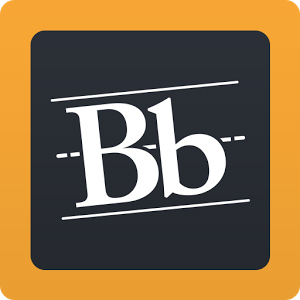 Review and follow all the suggestions above for taking tests and quizzes in Blackboard. What if I get an error message when taking a quiz or test? If this happens, you should contact your instructor. Explain the situation and, if appropriate, they will be able to reset the quiz or test for you. Our Help Desks cannot reset quizzes and tests for students. A few courses will use Respondus LockDown Browser for exams in Blackboard. Your instructor will let you know if you should use this and how it works. 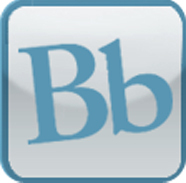 Respondus LockDown Browser is a locked browser for taking some tests in Blackboard. It prevents you from printing, copying, going to another URL, or accessing other applications during the test. Campus computers and virtual desktops have Resondus LockDown Browser already installed. You may be able to install it on your own computer. Check your Blackboard course for more information and contact your instructor with any questions.